What Is A Dry Herb Vaporizer And How Does The Vape Work? Dry herb vaporizers have been around for many many years. With the legalization of cannabis more and more people are turning to vapes to consume their herbs and people are wondering what design is best. Do they want a vape for dry herbs that is conduction or convection? Both offer pros and cons for different situation. A dry herb vape heats your favorite herbs to extract all the essence in your herbs. In cannabis there are around 140 cannabinoids and many of them vaporize at different temperatures. You can learn more about these compounds and their vape temps at our blog the art of vaporizing. As the herb heats up, each compound reaches its boiling point, and when reached vaporizers off of the plant and into your lungs. Dry herb vaporizers use heat to gently bring the compounds in your favorite herbs to their boiling point. When the compound reaches its boiling point it vaporizes off the dry herb. This is much like when water is heated and the water turns to steam. Dry herb vaporizers utilize a heater to get the heat needed to vaporizer your dry herbs. This can be done 1 of three ways such as conduction, convection or a hybrid. Each way has pros and cons for different situations or if it is a portable or desktop dry herb vaporizer. This is the oldest design used for dry herb vaporizers that goes back maybe 20+ years, if not even longer. What was called the fishbowl vape was one of the first to use this design. This worked but it had to be worked also. The conduction dry herb vaporizer works by using a heating chamber, bowl or over to heat the herbs to their vaporizing temperatures. This is done by means of the herbs contacting the sides of the heating chamber. Direct contact is basically conduction vaporizing. When using a conduction style dry herb vaporizer we find it best to use a fine ground herb. This allows more surface area to come into contact with the heating surface making more contact, which makes bigger vapor hits. We also suggest packing the bowl slightly tight, but not so tight its a bail of hay. A few conduction vaporizers out there are the PAX 1, 2 and 3, Da Vinchi IQ, Dynavap Vapcap as well as others. This conduction style is one of the most efficient designs for saving of power and is why many portable dry herb vaporizers utilize this design. This design later came around because it is very efficient for your herbs and also gives some of the best flavor delivery. Not to say that conduction dry herb vapes are not good, they both provide different flavors that a vape connoisseur will appreciate. The convection dry herb vaporizer design works basically utilizing the hot air created by the vaporizer. 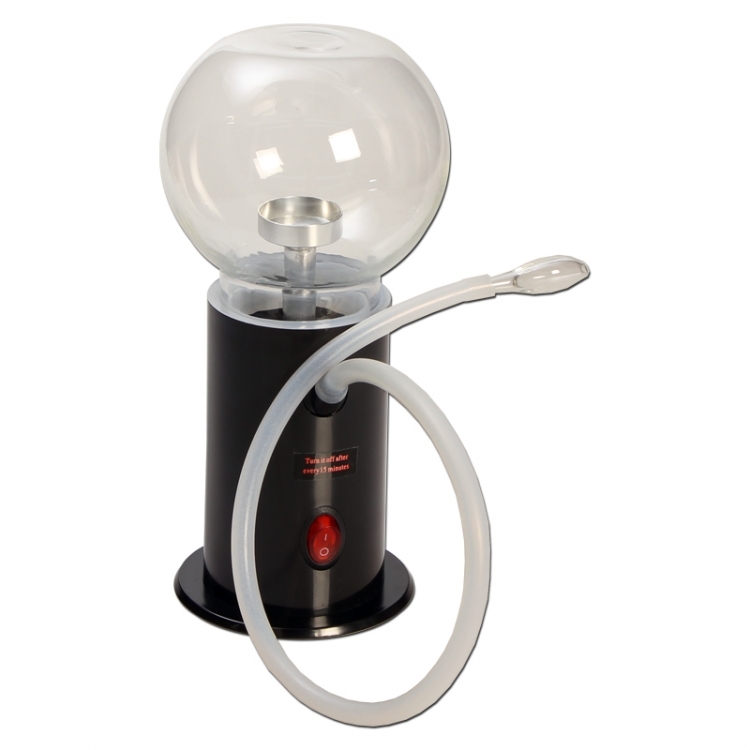 This hot air is what heats your herbs up to their compounds vaporizing temperatures. You can learn more about compound vape temps by visiting the Art Of Vaporizing. We recommend stirring your bowl every hit or two to allow a very uniform vapor experience and to fully extract all the essence of the plant. There is actually one portable dry herb vaporizer that has a stir tool built into it to help get a uniform extraction. As you inhale or the bag is filled on a desktop or portable vape, the air gently warms the herbs releasing the essence of the plant. Some great convection vaporizers are the Silver Surfer Vaporizer, Volcano Vaporizer and Herbalizer. This is a type of dry herb vaporizer that uses both vaping techniques to vaporize the essence from the plant. This type of hybrid vaporizing is mostly used in portable dry herb vaporizers as it is the most efficient use of the heater, saving as much of the battery power as possible. These hybrid vape units work by the oven or heater does a lot of the heat power via conduction. The dry herb vaporizer then utilizes as much heat from the outside of the heater and brings it to the herbs to help extract more vapor from the inside of the herb that is not touching the heater. In combination the conduction and convection bring a slightly larger cloud then pure conduction, while a pure convection delivers still an amazing hit every time. These units give the vape connoisseur a great flavor from the beginning of the session to the end of the vape session.